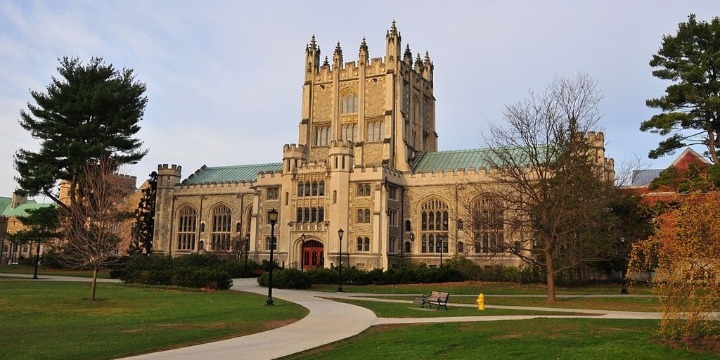 Thompson Memorial Library at Vassar College. Photo: Jim Mills. Tamimi, a Palestinian activist living in the West Bank town of Nabi Saleh, recently completed a term in an Israeli prison after she was filmed by her mother while kicking and slapping two unresponsive Israeli soldiers. The guide also made multiple references to attempts by the anti-Zionist campus groups Students for Justice in Palestine and Jewish Voice for Peace to advance the boycott, divestment, and sanctions (BDS) campaign against Israel at Vassar, including by unsuccessfully lobbying for the removal of Sabra hummus in 2015 and launching a school-wide referendum on BDS that failed to pass in 2016. “The campus found itself overwhelmed by the campaign, you couldn’t walk around without seeing students wearing ‘Free Palestine’ buttons, reading posters for upcoming events, or running into a student draped in an Israeli flag,” they noted. The authors accused those who opposed the campaign of using “racist, islamophobic, and frankly, anti-Semitic attacks in a desperate attempt to shore up support for Israel,” pointing to posters that were found on campus that accused some BDS activists of supporting “Hamas terrorists,” as well as to the publication of individual profiles by the anonymous online blacklist Canary Mission, which opposes the BDS campaign. 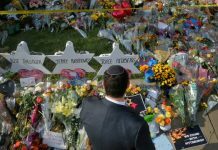 They made no mention of complaints shared by members of the campus community who accused BDS activists of launching “an aggressive campaign of intimidation,” and who were reportedly mocked when raising concerns over antisemitism. The guide identified three major obstacles that ultimately contributed to the BDS referendum’s failure, among them the campus group J Street U, which advocates for a two-state solution to the Israeli-Palestinian conflict.